tipi güzel beğendim . 1.6 multijet ve TCT olursa güzel olur alınabilir. 70 bin tl olursa ford focus 1.5 tdci powershift de piyasaya girdi. onun karşısında işi zor. 70.000 liradan başlaması için aracın D segmenti olması lazım iç tasarımı D segmenti sınırına oldukça uzak. Dışı da öyle. Hatta alman c segmenti araçlara göre iç tasarımı ucuz duruyor. The Aegea's hood has central ribbing stretching up to the roof.The single frame grille melds into the light clusters. 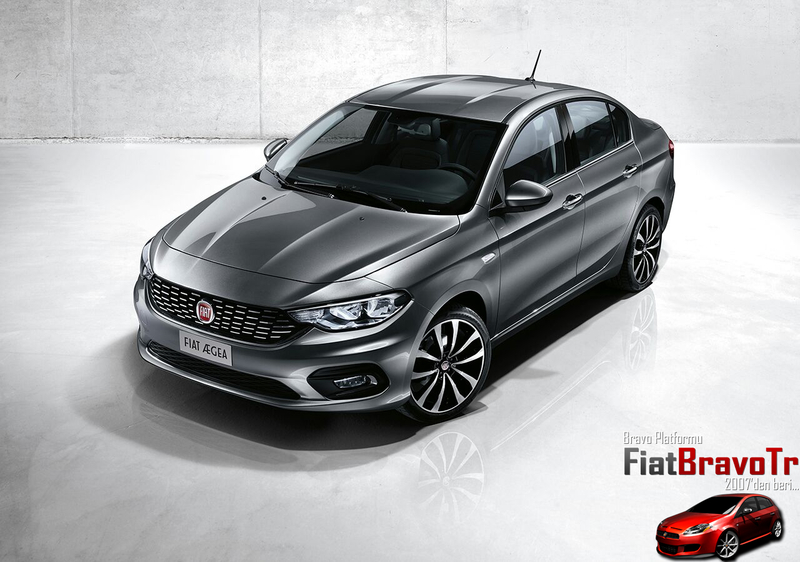 Fiat today unveiled the first model in its new compact car family - the Aegea sedan. The car will go on sale in Turkey starting in November followed by a rollout in 40 countries in the company's Europe, Middle East and Africa region, Fiat said in a statement. Fiat will add hatchback and station wagon variants of the Aegea, giving the brand a fresh lineup in the key compact segment, Europe's second-largest by sales after subcompacts. The Aegea sedan debuted today at the Istanbul auto show. 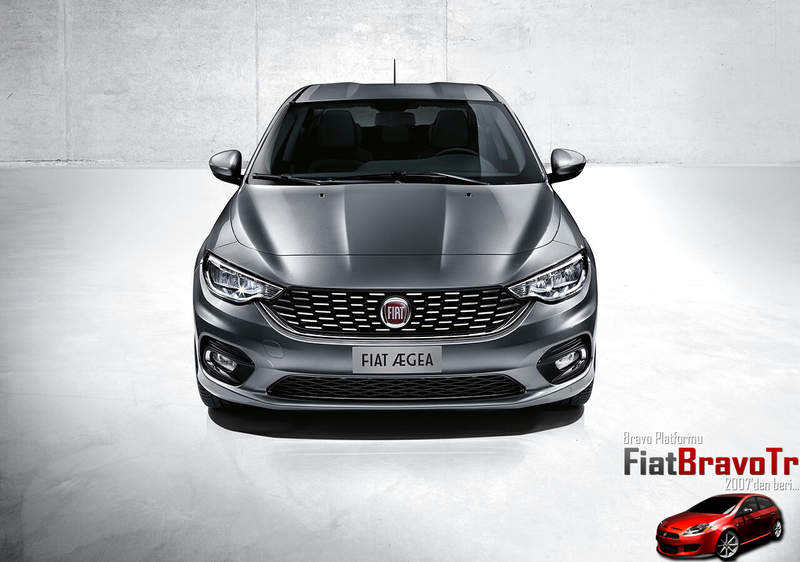 All three Aegea variants will be built at Fiat's joint venture Tofas plant in Bursa, northwest Turkey. 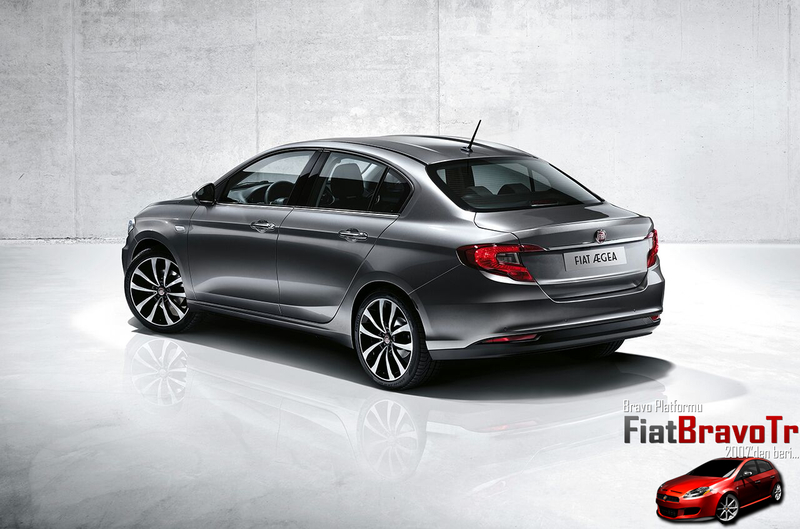 The new compact family, which replaces the Linea sedan and Bravo hatchback, will not be called the Aegea. A Fiat spokesman said Aegea is a project name. It pays tribute to Turkey and "represents a symbolic bridge between East and West," Fiat said. The Aegean Sea lies between Turkey and Greece. 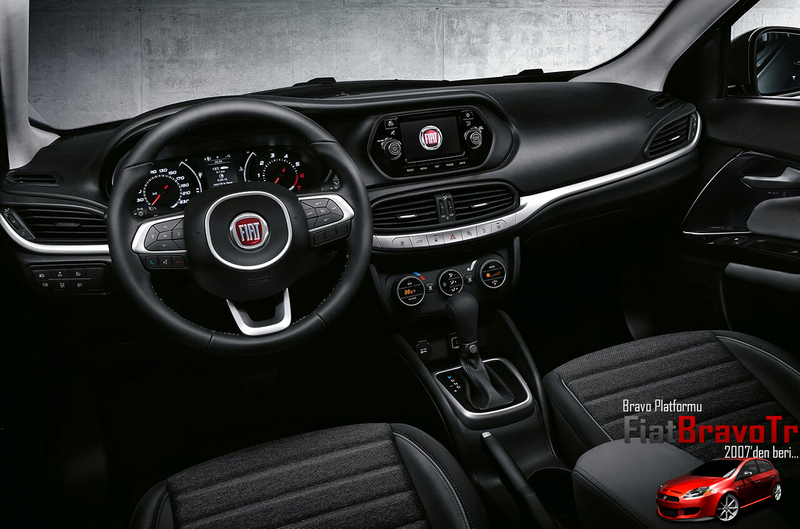 The model names will be announced in the autumn, along with further commercial details, Fiat said. The cars will be based on Fiat's small wide platform that also underpins the Fiat 500L minivan and 500X crossover, as well as the Jeep Renegade. The sedan variant will replace the Linea and will compete against cars such as the Peugeot 301 and Skoda Rapid in eastern Europe and Turkey where sedans are popular. The hatchback will replace the Bravo and mainly sell in western Europe in the segment led by the Volkswagen Golf. The Aegea has a harmoniously proportioned third box with bright light cluster surrounds, reflecting upscale Italian styling, Fiat says. At 4.5 meters long, the Aegea is slightly longer and wider than the Linea. Fiat said the three-box car will combine Italian styling with an "outstandingly efficient use of space." The sedan will be offered with two gasoline and two diesel engines with manual or automatic transmissions and with power ratings of between 95 hp and 120 hp. The most fuel efficient diesel will have fuel economy of less than 4 liter of fuel per 100km, comparable to the Fiat Panda minicar, Fiat said. Equipment will include an infotainment system with a 5-inch color touch screen, Bluetooth, audio streaming, text reader and voice recognition as standard and an optional rear parking camera. Fiat said the sedan is roomy inside with enough space to seat five adults comfortably and a luggage capacity of 510 liters. 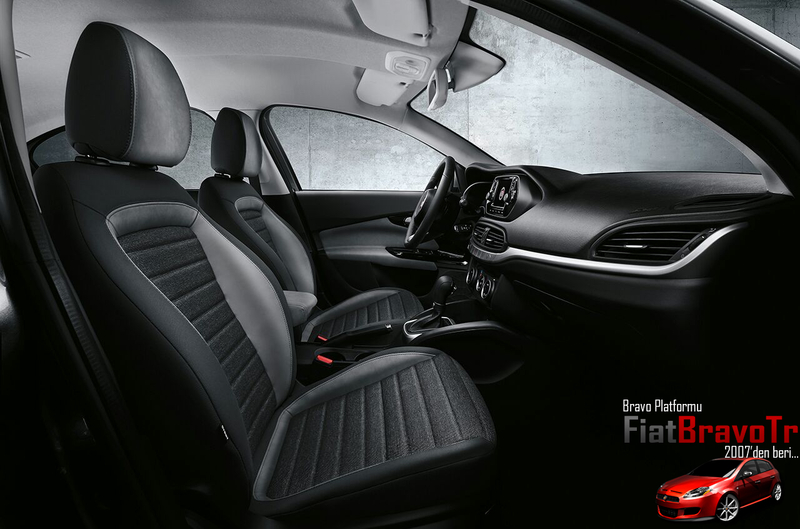 The Aegea hatchback Bravo replacement will launch next year. Fiat has not communicated the launch date for the wagon. Fiat has not sold a wagon in Europe since the Stilo Multiwagon was discontinued in 2008. Fiat has not said how many of the units of the new compact range it plans to build. Last November, Tofas, said it will build a combined 700,000 units of the range over the life cycle of the vehicles until 2023, mainly for export. Araç bence kasa olarak çok güzel alınabilir, ama iç dizayn işini fiyat yine pek yapamamış.